I cannot even begin to tell you how excited I am about the Secret Life of Pets movie! All week, we’ve been sharing our favorite Secret Life of Pets movie quotes and trivia. Today, we’re celebrating the upcoming release with a super simple, healthy and fun movie-inspired treat. 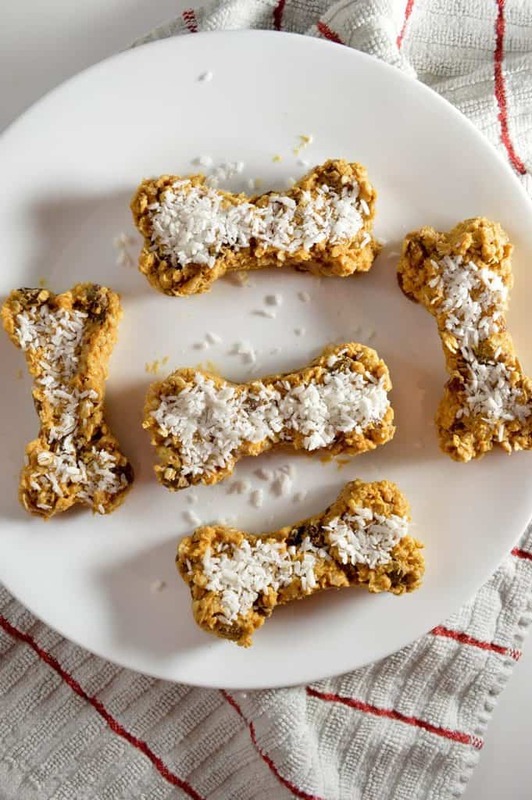 We gave a no-bake granola bars recipe a Secret Life of Pets makeover using a bone-shaped cookie cutter. You’re going to love how easy it is to pull this kids’ recipe together! My son and I already have big plans to go see The Secret Life of Pets when it opens. As someone who is wholly owned by cats and dogs, I’m looking forward to this comedic look at what goes through their minds when their people aren’t around! I think this treat is the perfect healthy snack to eat before going to the theater. That way, we won’t be tempted to load up on too much candy! Ready to check it out? 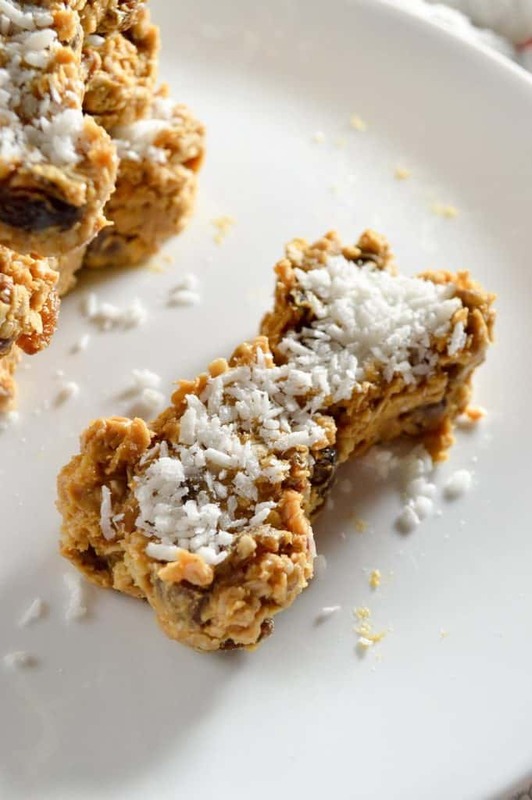 Have you ever made no-bake granola bars? Do you have any favorite movie-inspired recipes? Share in the comments! Watch the detailed video tutorial and read the instructions below. Line a baking pan with parchment paper and set aside. 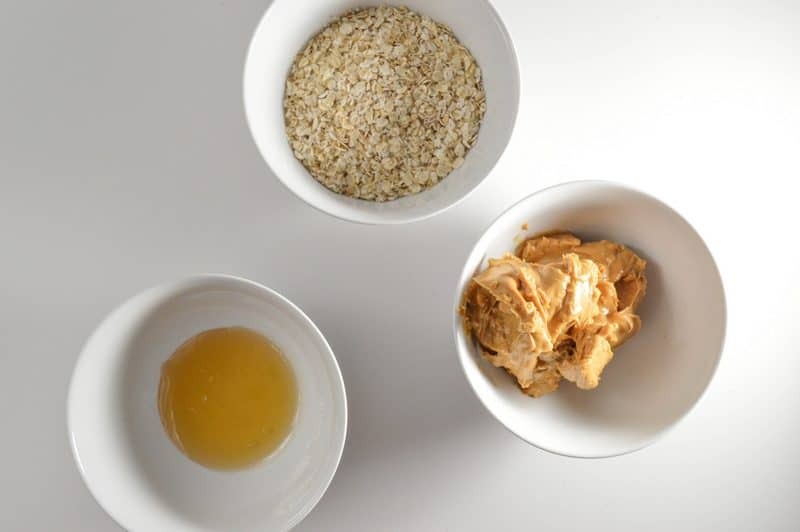 Mix all of the ingredients in a bowl (except for the coconut flakes). Using your favorite bone-shaped cookie cutter , place the mixture onto your lined pan. Top with coconut flakes and chill for at least one hour. Using your favorite cookie-cutter shape, place the mixture onto your lined pan. This no-bake granola bars recipe is easy enough to let the kids help, too, so get them involved in the action! Baking (or in this case, no-baking) together is such a great bonding activity. Plus you’ll be teaching your kids valuable life skills! With so many fun family movies coming out this summer, we’ve been really busy whipping up film-inspired recipes! Check out a few more of my favorites! 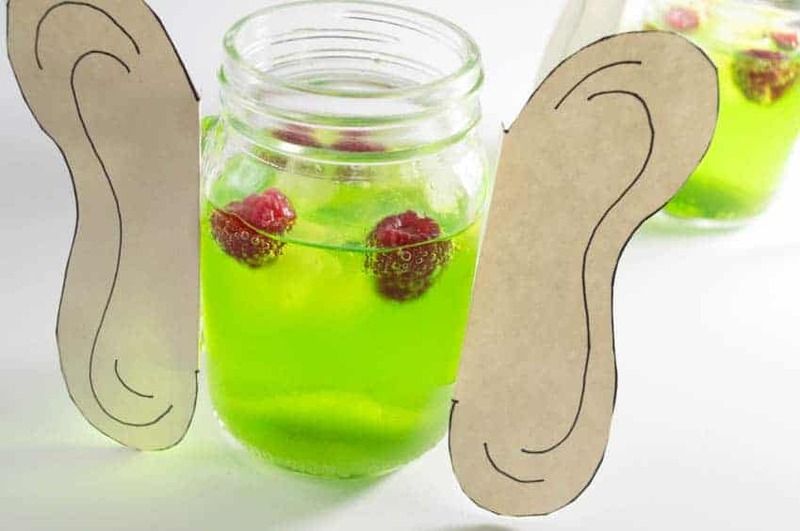 If your kids loved The BFG, they’ll adore this fun and fizzy Frobscottle drink recipe for kids! It’s perfect for all those summer parties, kids will love making the giant’s ears! Finding Dory is one of the most awaited and beloved films of the summer, so you know we had to make something for that! Whip up this tasty and healthier blueberry ice-cream with your kids! While you have the blueberries out, try this cute Zootopia-inspired Blueberry Winner Pup-Sicles recipe. They look just like the ice pops that Nick Wilde was selling. If I make them today for a party tomorrow, do they need to stay in the refrigerator until ready to eat? I love movie inspired recipes. You are very creative. Your recipes will make for some special memories during our family movie nights! And even if one (like me) doesn’t have any pets, this recipe looks so good that probably a lot of humans would have a blast with it! Oh, I made these once. I can honestly say they are fantastic and well worth the effort. I have never made granola bars of any kind. I love that they’re no bake though, such a fun way to make the treats. I was thinking if I can share this one to my dog at home because I was under the impression that I’d make some for my own but I was surprised that it IS intended for our pups, what a laugh! But that tells us that it looks good. I love the themes! I want to make some! These sound really good. I’m loving the cute shapes. What a fun treat! We love granola bars. They’re so easy to make, too. I love anything that doesn’t require baking. 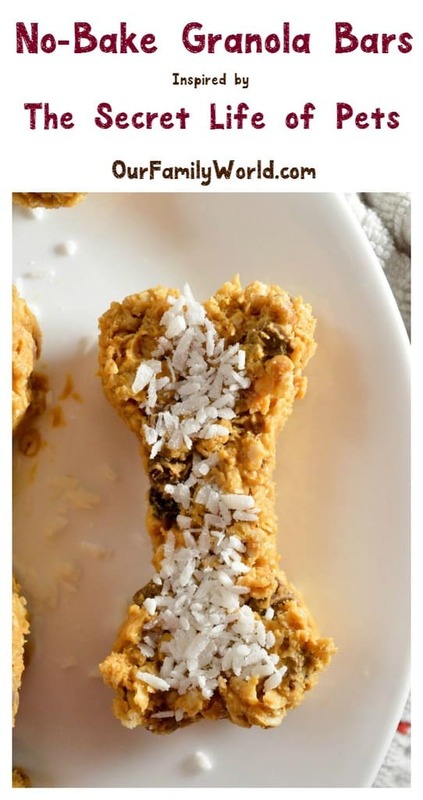 These dog bones look great! But now the drink looks really refreshing to me too! These look awesome! My kids would be all over all of these, they look great and not too difficult to make which I need right now! These snacks are too cute. I have seen the trailer for this movie, it’s cute and I am hoping to see it. All these treats are so cute! I love the dog bone idea and we too can’t wait to see the movie! These look like so much fun. Thank you for sharing the idea and the recipe. Make Back to School Easier for All Ages with These Tips!